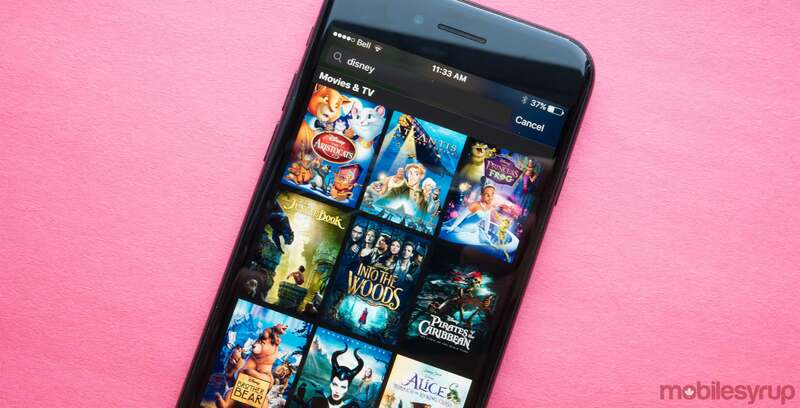 The recent announcement that Disney is launching its own streaming platform, resulting in the removal of the animation giant’s content from the platform, was originally poised to be a massive blow to cord cutters, particularly in the Canadian market where we don’t have many streaming options. Now, however, it looks like the Netflix Disney film loss set for 2019 won’t impact Disney movies and television shows in international markets, including Canada, according to sources with knowledge of the deal. Disney content present on Netflix in Canada and international markets is held under separate deals. This means that Disney films like Rogue One: A Star Wars Story, Moana, Finding Dory, Lilo and Stich, Zootopia, will not disappear from Netflix in 2019. During a recent earnings call, Disney revealed plans to kill its agreement with Netflix and launch its own streaming platform in 2019. At the time, the company said that it plans to launch the platform in the U.S. first, with an eventual expansion to other markets in the future, likely including Canada. If the 2019 termination of its content agreement with Netflix won’t result in a shift in what content is present the streaming service in international markets, including Canada, it’s likely Disney’s new platform will not launch in Canada. Another possibility is that Disney content will be distributed across both Netflix and the animation company’s proprietary streaming platform, though this option is unlikely. Netflix also released the following statement regarding Disney’s announcement, emphasizing that even past 2019, Netflix plans to continue its ongoing relationship with Marvel TV. “U.S. Netflix members will have access to Disney films on the service through the end of 2019, including all new films that are shown theatrically through the end of 2018. We continue to do business with the Walt Disney Company globally on many fronts, including our ongoing relationship with Marvel TV,” reads a statement sent to MobileSyrup by Netflix. According to a study from analytics firm Statista, Netflix sits at 51.92 million subscribers in the United States, amounting to almost half of the streaming company’s worldwide subscriber base, which now sits at 103.95 million. As of April 2017, Netflix revealed that it has close to 100 million subscribers. Netflix has not released regional subscriber number statistics for a number of years.